Operating Room (OR) staff work in unison to seamlessly navigate the patient through the phases of surgery (pre-operative, perioperative and post-operative) all of which occur within the Department of Surgery. Working in the Operating Room (OR) requires highly skilled staff members to coordinate and deliver the care necessary to surgically treat a wide variety of patients and issues. The staff works in unison to seamlessly navigate the patient through the phases of surgery (pre-operative, perioperative and post-operative) all of which occur within the Department of Surgery. The focus of the OR staff is to safely perform surgical procedures to correct and repair surgical maladies. Safety plays a key role for the staff as patients are typically anesthetized and cannot speak for themselves. The goal of the OR staff is to return a patient to a state of wellness by performing the right surgery on the right patient in a timely manner. Once the patient is stabilized and recovered from anesthesia, the ultimate goal is to transfer the patient to an inpatient unit for further recuperation or discharge them to home, if the surgery is an ambulatory procedure. The main responsibility of the OR staff is to keep the patient safe and help them to navigate through all phases of the surgical course. Communication between the nursing staff and physicians is critical in the OR. 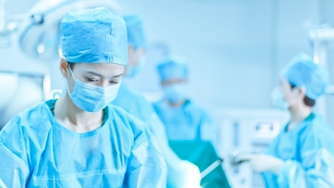 Surgeons are mainly responsible for communicating with family members after the surgery has been completed, regarding how the patient tolerated the procedure, the prognosis and the discharge plan. Who is Treated in the Operating Room? Patients undergoing scheduled and emergency surgery are treated in the OR. Trauma, orthopedics, neurosurgery, general surgery, cardio-thoracic and many other case types pass through the OR in a day, some scheduled and some emergency cases. What is the Work Environment Like in the Operating Room? The intense, fast-paced, detail-oriented environment in the OR requires the staff to be organized yet flexible. The staff works in a closed, somewhat isolated, environment in both the general department and the individual operating suites for hours at a time. The staff needs to work in unison and with respect for one another. Surgeons are, classically, demanding so tension is often high, especially based on the intensity and complexity of the surgical case. The work schedule in an OR most often involves on-call coverage. Even if cases are not scheduled during weekends and off-shifts, a full OR staff must be ready to activate the OR in case an emergency or trauma case presents. Working on-call hours impacts the remainder of the involved staff's schedule. The subsequent day’s staffing schedule and assignments are often adjusted based on case length and complexity. If staff works on-call coverage during the night shift and are scheduled to work the next day, then adjustments are made to everyone’s schedule to accommodate the very real potential for extreme staff fatigue. While it is typical and expected to be tired after working on a surgical emergency all night, it is still physically and mentally demanding. Some facilities deliberately schedule on-call hours on an evening or night preceding the staff member’s day off. This prevents working under the duress of significant fatigue. Depending upon the facility, the OR has a pre-operative holding area where patients are identified, allergies are confirmed, intravenous lines are inserted and consents are signed before being moved to the appropriate OR for surgery. General surgery suites are readily available but there are also specialty suites for orthopedic, neurology, ear nose and throat procedures and more. Once the surgery is completed, patients are transported to the Post-Anesthesia Care Unit (PACU) for recovery from anesthesia. The OR encompasses a vast area, usually located on one floor of the facility. Stress is a major challenge in the OR. It is an intense department but without a great deal of patient communication intraoperatively. Staff talk to patients before surgery to verify critical information, such as their name, allergies and the exact surgery for which they are scheduled, and after surgery as they awaken from anesthesia. However, the patient is silent during the balance of their time in the OR. For staff that like to interact with patients, this is a challenge that might determine if working in the Operating Room is their best choice. Learning to prioritize is a challenge in the OR. The staff must prioritize what must be done immediately and what can wait to be done. The fast-paced environment requires the staff to constantly multitask. Surgeons and anesthesiologists complete the standard medical school requirements and continue on to do surgical or anesthesia residencies and fellowships. These physicians are board certified in their respective medical specialties. RNs in the OR are, most often, Bachelor's (BSN) prepared and have general medical-surgical experience plus a comprehensive and OR-specific orientation program. Registered Nurse Anesthetists (CRNA) hold a graduate degree with special training in anesthesia administration. The educational program takes 24 to 36 months to complete, beyond acquiring a BSN. The Surgical Technician attends an accredited program for the specialty, usually 1 to 2 years in duration depending whether it is a certification program or an Associate's degree. What Does the Operating Room Staff Do? Surgeons are physicians who evaluate patients and determine if surgery is necessary to treat the patient, whether to repair a deformity or result of an injury or to correct a disease or physical malady. There are surgeons who specialize in general, vascular, cardiac, orthopedic surgery and more. Vascular Surgeon: This board certified surgeon who evaluates, treats and operates on vascular conditions, which include veins and arteries. This surgeon does not usually operate on brain or cardiac vasculature, as there are specialty surgeons for those areas. Orthopedic Surgeon: Ligaments, tendons, muscles, joints and bones are the specialties of these board certified surgeons. Whether traditional open surgery, arthroscopic or laser surgery these physicians operate to repair and restore function to the affected area. Cardiac Surgeon: Specializing in surgery of the heart and associated vessels, this board certified surgeon replaces heart valves, performs cardiac bypass, repairs aortic aneurysms and more. Pediatric Surgeon: Managing the surgical care of children is this board certified surgeon's specialty. Trauma Surgeon: This surgical specialty is a board certified physician who cares for patients that have suffered life-threatening trauma, usually involving multiple organs. Surgical Scrub Nurse: This RN works directly with the surgeon, passing instruments and any other duties necessary within the sterile field during surgery. Surgical Tech: These technicians prepare the operating room with sterile and non-sterile equipment and supplies before surgery. They perform a wide variety of duties from transporting the patient and helping the surgeon gown and glove to holding retractors and counting sponges and needles. Circulating Nurse: The circulating nurse works outside of the sterile field and is responsible for managing the nursing staff and overall patient care in the operating room. Registered Nurse Anesthetist (CRNA): This advanced practice nurse (APRN) holds a graduate degree and is board certified in the administration of anesthesia. There are 40,000 CRNAs in the United States who function under the direction of a licensed anesthesiologist. Anesthesiologist: This board certified licensed physician administers anesthesia and/or sedation, intravenous, spinal or local with sedation, to surgical patients. The MD also evaluates and treats patients, surgical and non-surgical, for pain control.